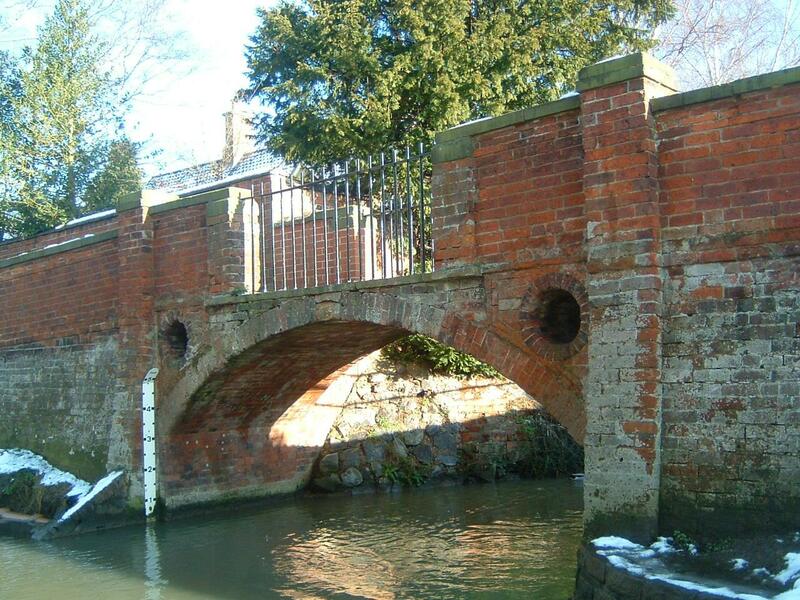 We then have The Green footbridge and the only surviving ford. This is an 18th Century bridge, built alongside the ford where Devon Lane crosses the river. Taken by Mrs Peggy Topps. A series of sets of pictures of aspects of the village as seen in 2007 and 2008, taken by Mrs Peggy Topps as contributions to this website when it first started, Peggy was the Secretary and Programme Secretary of the Bottesford Local History Society. When the Bottesford Living History Project, funded by the Local Heritage Initiative of the old Countryside Agency, started in 2006, Peggy was an enthusiastic member of the project who lent her energy and great knowledge of Bottesford to great effect. She took these pictures as a record of the village as it was at that time, and as part of a drive to provide information to visitors and newcomers. The pictures also have a growing value, as time goes by places and events that may have seemed unremarkable or transitory at the time take on importance to the local and living history record. There are four sets of pictures in this group: (1) Bottesford farmers (c.2008), (2) Bottesford’s bridges in 2007, including the ill-fated ‘three-arch bridge’, (3) the collapse of the ‘three-arch bridge’ in May 2007 and its aftermath, and (4) eating places in Bottesford and Muston, as they were in 2007. Another set of pictures showing the demolition of the old Bullock & Driffill works (manufacturers of outside joinery such as gates and fencing) that stood on the corner of High Street and Barkestone Lane, formerly the site of W.J. Roberts, Builders, can be found in BOT037. Mrs Topps' private collection, also posted on this website.